W.J. 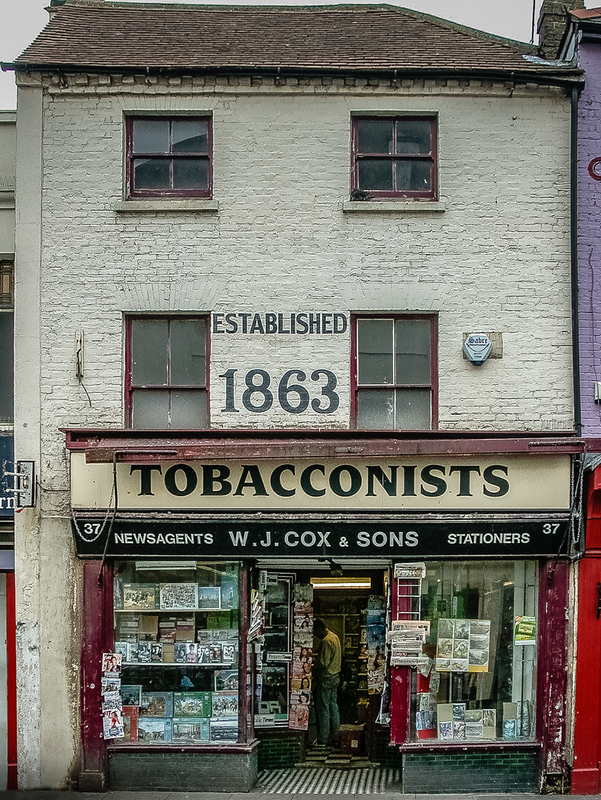 Cox & Sons, 37 High Street, Whitstable, Kent, 2002 • Battered tobacconist with ghost sign saying “Established 1863” and a deep arcade entrance. A contemporary gallery later moved in and meticulously restored the facade, also retaining the ghost sign.